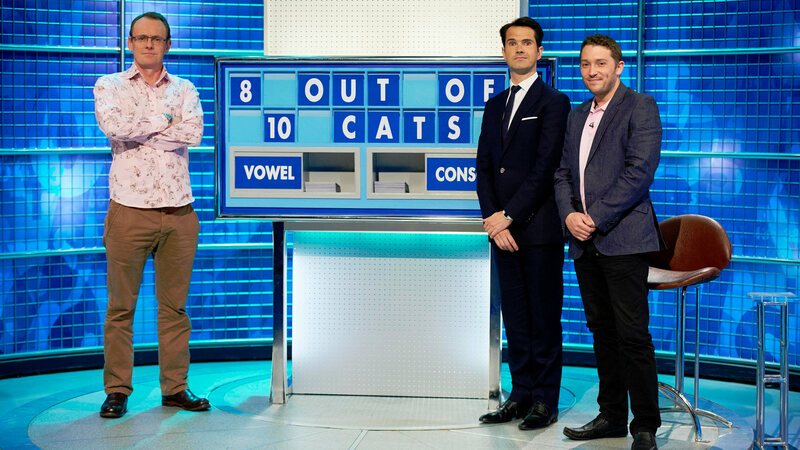 In 2012, two of Channel 4's most popular quizzes - the topical hit 8 Out Of 10 Cats and the cerebral words-and-numbers game Countdown - came to metaphorical blows as the anarchic comedians of the former took on the brainbox format of the latter. Jimmy Carr was the host, with Sean Lock and Jon Richardson as the contestants. Jimmy was helped by Countdown regulars Susie Dent and Rachel Riley, and hindered by Joe Wilkinson. The gang returned to play Countdown a second time later in 2012. In January 2013, as part of the next Channel 4 Mash Up, Jimmy Carr, Jon Richardson and Sean Lock hijacked an episode of Deal or No Deal. A number of comedians joined in, plus Rachel Riley and Susie Dent again. 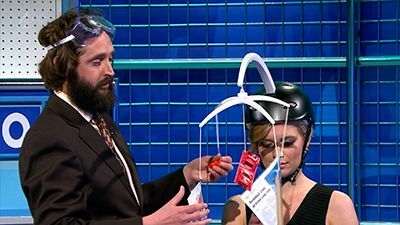 Joe Wilkinson acted as the Banker's assistant. Since 2013, the show has run regularly with multiple-episode series. Jimmy Carr hosts new editions of the famous words and numbers quiz, as 8 Out of 10 Cats team captains Sean Lock and Jon Richardson are joined by celebrity guests Miles Jupp and Rhod Gilbert. 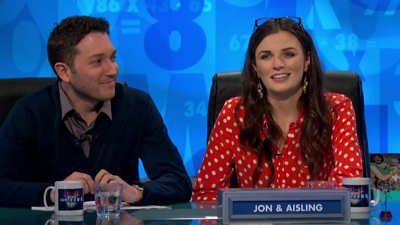 Countdown regular Susie Dent is in Dictionary Corner with Nick Helm, while the country's favourite boffin Rachel Riley provides the letters and numbers with a little help from comedian Joe Wilkinson. Jimmy Carr hosts. Sean Lock and Johnny Vegas take on guest captain Sarah Millican with Rob Beckett. Vic Reeves is in Dictionary Corner with Susie Dent and Rachel Riley. Jimmy Carr hosts. 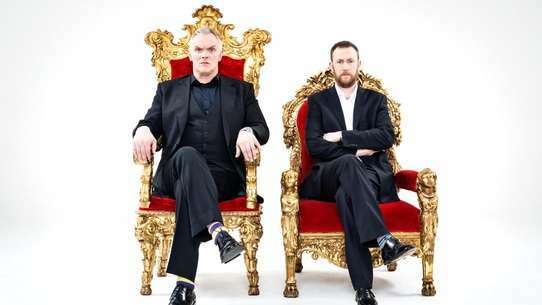 Sean Lock and Greg Davies take on Jon Richardson and Holly Walsh. Vic Reeves is in Dictionary Corner with Susie Dent. Jimmy Carr hosts. Sean Lock and Liza Tarbuck take on special guest captain Sarah Millican with Romesh Ranganathan. Phill Jupitus is in Dictionary Corner with Susie Dent. Jimmy Carr hosts the show, with captains Sean Lock and Jon Richardson who are joined by James Corden and Jack Dee. 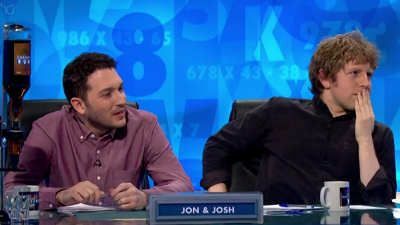 Joe Lycett and Joe Wilkinson assist Susie Dent and Rachel Riley. Jimmy Carr hosts. Sean Lock and Freddie Flintoff take on guest captain Bill Bailey with Roisin Conaty. Rob Beckett is in Dictionary Corner, with Susie Dent and Rachel Riley. Jimmy Carr hosts the show, with captains Sean Lock and Jon Richardson who are joined by Kathy Burke and Josh Widdicombe. Dara O Briain and Joe Wilkinson assist Susie Dent and Rachel Riley. Jimmy Carr hosts. 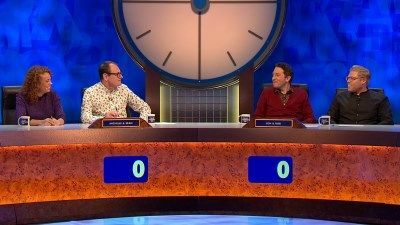 Sean Lock and Mel Giedroyc vs guest captain Lee Mack with David O'Doherty. Susie Dent is joined by Adam Buxton in Dictionary Corner, with Rachel Riley. 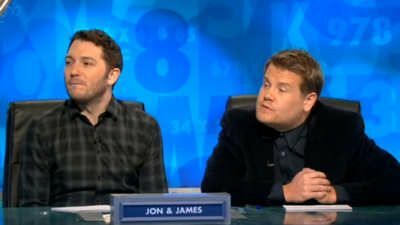 Jimmy Carr hosts the famous words and numbers quiz as 8 Out of 10 Cats team captain Jon Richardson alongside actor Stephen Mangan take on Lee Mack and 'Pointless' boffin Richard Osman.Henning Wehn is in the Dictionary Corner along with Countdown regular Susie Dent. 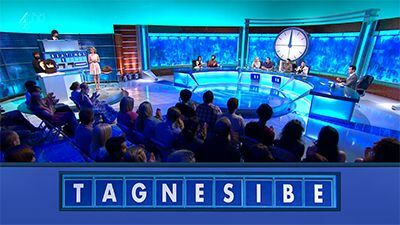 Meanwhile, Rachel Riley provides the letters and numbers with a little help from comedian Joe Wilkinson. Jimmy Carr hosts with Sean Lock and Kevin Bridges who take on Jon Richardson and Kathy Burke. Joe Lycett joins Susie Dent, while Nick Helm 'assists' Rachel Riley. Jimmy Carr hosts. Sean Lock and Bill Bailey take on special guest captain Joe Wilkinson with Isy Suttie. Joe Lycett is in Dictionary Corner with Susie Dent. Jimmy Carr hosts while 8 Out of 10 Cats team captains Sean Lock and Jon Richardson are joined by celebrity guests. In this show Jason Manford joins Sean, while Rhod Gilbert teams up with Jon. 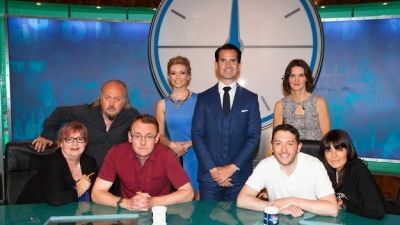 Countdown regular Susie Dent is in the Dictionary Corner with Danny Dyer, while the country's favourite boffin Rachel Riley provides the letters and numbers with a little help from comedian Joe Wilkinson. Jimmy Carr hosts the famous words and numbers quiz, as 8 Out of 10 Cats team captains Sean Lock and Jon Richardson are joined by celebrity guests Sarah Millican and Humphrey Ker. Countdown regular Susie Dent is in Dictionary Corner with Rich Hall, while the country's favourite boffin Rachel Riley provides the letters and numbers with a little help from comedian Joe Wilkinson. Jimmy Carr returns with Sean Lock and Jon Richardson, who are joined by Jonathan Ross and Roisin Conaty. David O'Doherty joins Susie Dent in Dictionary Corner, and Joe Wilkinson 'helps' Rachel Riley. 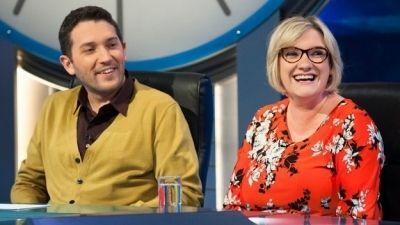 Jimmy Carr hosts the iconic words and numbers quiz, as 8 Out of 10 Cats team captains Sean Lock and Jon Richardson are joined by celebrity guests Sarah Millican and Chris Ramsey. Countdown regular Susie Dent shares Dictionary Corner with Abandoman, while the country's favourite boffin Rachel Riley dispenses the letters and numbers with a little help from comedian Joe Wilkinson. Guests are Freddie Flintoff and Rhod Gilbert. Henning Wehn joins Susie Dent in Dictionary Corner, while Joe Wilkinson 'helps' Rachel Riley provide the letters and numbers. Jimmy Carr hosts. Sean Lock and Seann Walsh take on guest captain Joe Wilkinson and Danny Dyer. Bill Bailey is in Dictionary Corner with Susie Dent and Rachel Riley. Jimmy Carr hosts as Jon Richardson and Johnny Vegas take on Sean Lock and Romesh Ranganathan. Josie Long joins Susie Dent in Dictionary Corner, while Joe Wilkinson 'helps' Rachel Riley. Jimmy Carr hosts as Jon Richardson and Jack Whitehall take on Sean Lock and Roisin Conaty. Rob Beckett joins Susie Dent in Dictionary Corner, while Joe Wilkinson 'helps' Rachel Riley. 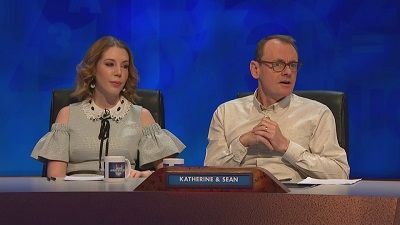 Jimmy Carr hosts with Sean Lock and Katherine Ryan who take on Jon Richardson and Joe Wilkinson in the classic words and number quiz. Dr John Cooper Clarke in Dictionary Corner with Susie Dent and Rachel Riley looks after the numbers. Jimmy Carr hosts as Jon Richardson and Aisling Bea take on Sean Lock and Reginald D. Hunter. Holly Walsh is in Dictionary Corner with Susie Dent, while Joe Wilkinson attempts to 'help' Rachel Riley. Jimmy Carr hosts, alongside team captains Sean Lock and Jon Richardson, who are joined by Jo Brand and Claudia Winkleman. Bill Bailey joins Susie Dent in Dictionary Corner. Jimmy Carr hosts, alongside team captains Sean Lock and Jon Richardson, who are joined by Bill Bailey and Josh Widdicombe. Jake Yapp joins Susie Dent in Dictionary Corner.